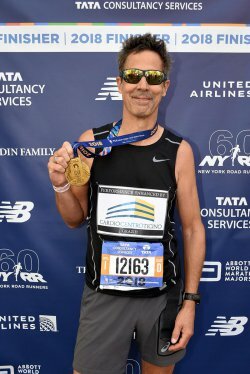 On 4th November 2018, William Keays reached the finishing line of New York’s marathon. He sent us the picture of that very moment, of that sunny day, that of his tangible happiness. On his race bib, William added the Cardiocentro logo and the writing “Performance enhanced by Cardiocentro. Thank you”. Six months before William Keays was operated by Prof. Demertzis to repair a severely leaking mitral valve, which was carried out using mini-invasive techniques. At Cardiocentro, the intervention of mitral valve repair has an above 95% successful repair rate and minimally invasive techniques are used in more than 80% of the total operations. 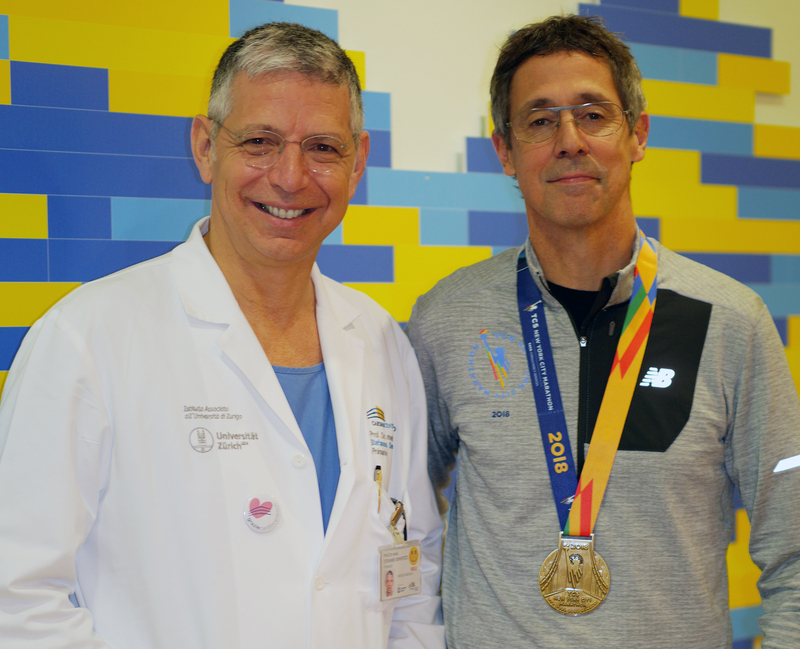 “In severe mitral regurgitation – says Prof. Demertzis – an early and mini-invasive surgical approach allows patients, especially when young and sporty, to go back almost right away to a perfectly normal life and to the pleasure of playing their favourite sport with no restrictions whatsoever. With the picture, William Keays sent a note, assuring his heart surgeon that during the race “the weakest link was my legs, not my heart, which was idling at a leisurely 163 bpm average. By all accounts, it is an astonishing fact that I ran a brisk marathon so comfortably 6 months after open-heart surgery. Here can be no stronger endorsement for the exceptional work being done at CCT”.